Samsung’s DeX speaks to a real issue in computing, but for Apple, the answer is software. This is a weird time in the technology world. The traditional PC, strong for four decades, is on the wane. The smartphone is dominant, devices so powerful that they can rival the power found in those traditional PCs. We’re rapidly exiting the era where devices were differentiated based on raw computing power, and entering one where ergonomics becomes a defining factor. 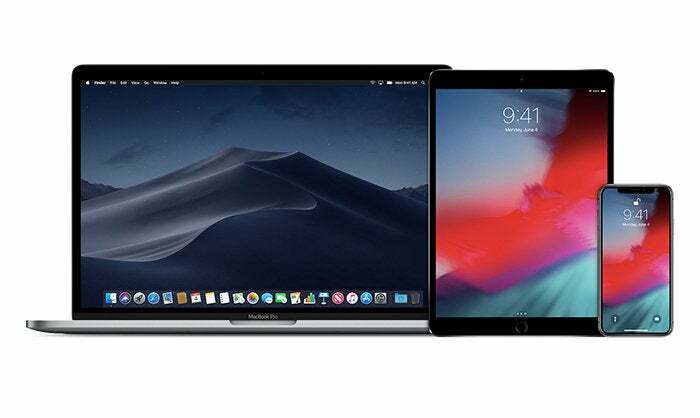 If we accept that an iPhone can do most of the work that most people need a computing device to do, where does that leave the iPad and the Mac? It means that they’re defined by their shapes, by how we control them and hold them and look at them. A MacBook is a good choice because it’s got a big screen attached to a hardware keyboard and a trackpad. An iPad is a good choice because it’s got a much larger screen. Which brings me to Samsung DeX, short for Desktop Experience. It’s a sort of software hack that adds multi-window, keyboard, mouse, and external monitor support, turning a few select Samsung phones, phablets, and tablets into something a bit more like a desktop computer in certain contexts. But Samsung’s belief that there are some users who will desire a different ergonomic context—one that a phone’s shape and size aren’t well suited for, but it can handle just fine in terms of computing power and available apps—is pretty interesting. If, in five years, almost every phone will have enough computing power to satisfy 99 percent of users, what happens? Maybe some people will end up just using their phone as their primary computing device all day, but I don’t think most people will—I live in a house with two teenagers and both of them choose tablets, laptops, and even giant TV screens over their phones a good amount of the time. There was a time when I believed the right answer was that smartphones would become the central computing core of every person. 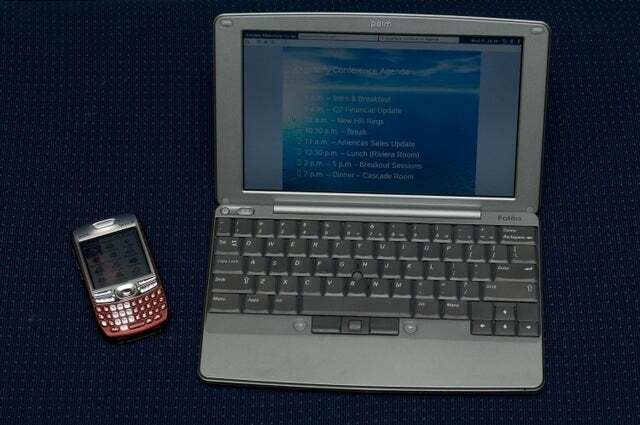 It would sit in our pocket or on our desk and be the brains behind a constellation of dumb devices that looked like today’s laptops and desktops. Consider it the modern version of the Palm Foleo. I don’t believe that anymore. If you’re going to build a laptop or a desktop monitor or a tablet frame, why wouldn’t you put intelligence in it? There might be some price to be shaved off, but they would still be driven by processors of some sort and need networking capabilities to talk to their smartphone overlords. Mix in ubiquitous, high-speed access to a computing cloud, and it makes even less sense: If my laptop and tablet are as smart as my phone and they sync data and apps seamlessly, why should I drain my phone battery when I’m using a laptop? So while I love the idea of plugging my iPhone into a cable and having it drive a 27-inch monitor, a mechanical keyboard, and a trackpad pointing device, it feels like a solution in search of a problem. My iMac suffices. A laptop suffices. 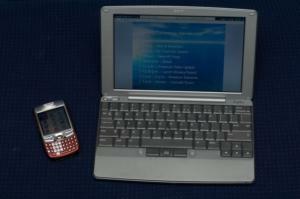 Each device can be the best at its own thing, and provide me access to all my stuff. Still, this got me thinking about what Apple is trying to do in this world where ergonomics make the difference. The most obvious example of what Apple’s doing is the iPad. Yes, it’s a really big iOS device, so it can provide the iOS experience while doing things that really should be done on larger screens. It’s also slowly colliding with ways we currently use the Mac, leading to a lot of people—myself included—finding themselves using iPads more than Macs in certain contexts. Apple announced at WWDC 2018 that it is working on giving the Mac the ability to run iOS apps. 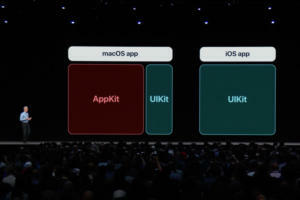 Then there’s the announcement that iOS apps will run on the Mac, starting with a handful of Apple-written apps this fall, and extending to third-party apps next year. That’s about Apple extending its popular App Store and developer platform, sure, but it’s also about context and ergonomics. If you’re using a Mac, you’re using a keyboard and trackpad (or other pointing device) and a screen that’s probably larger than most iOS devices. Mac apps that come from iOS will have to learn how to adapt to these new contexts. It’s an exciting moment where app developers will have to think—as they did when they expanded their apps to the size of the iPad—about how their apps change when the screen is very large, and there’s always a keyboard accessible, there’s a cursor and a pointing device and a menu bar... but no touchscreen! Over the last couple of years, I’ve used this column a lot to speculate about just what Apple’s thinking about in terms of its hardware design. Do the iPad and Mac overlap at all? Should iOS span into desktop and laptop hardware, or is it enough that apps will span the gap? Apple’s got a nearly infinite number of choices here, and it’s hard to say exactly what the company will do next. But I think June’s announcement of iOS apps coming to the Mac suggests that, in the end, it won’t matter. Apple’s vision is not necessarily that you’ll be able to plug an iPhone into a docking station and drive a 4K monitor, mouse, and keyboard. But it most definitely seems to be that you’ll be able to run all your iPhone’s apps, and see all your personal data, when you’re on an iMac with a keyboard and mouse, or a laptop with trackpad, or a tablet with or without a keyboard attached. 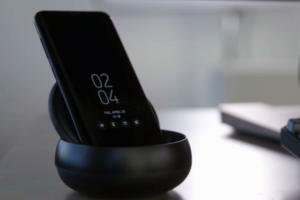 In Samsung’s worldview (as described by DeX), the phone’s at the center and everything else is just a phone accessory. I can see the appeal of that vision, but it feels like Apple’s vision is a bit broader: Everything runs your apps and sees your cloud data. When you move between devices for ergonomic reasons, the software adapts to your needs. Regardless of what processor is doing the heavy lifting, or what Apple-created operating system it’s running.